Following the destruction of Naxos by the hand of Dionysios I the Elder of Syracuse in 404 BC, the survivors fled to the mountains where they founded the city of Tauromenion in 396 BC after the defeat of Carthage. 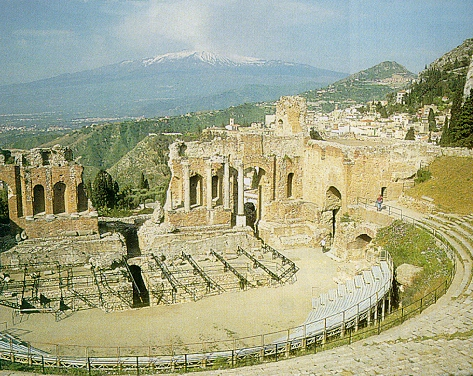 This ancient city has still survived into modern times known as Taormina. Pictured here is the spectacular Greek theatre overlooking Mt Etna.